It is one of the most common questions among clients, colleagues, friends, family and pretty much anyone who is looking to expand their social media reach. When is the best time to post on social media? Unfortunately there is not a straightforward answer, and there are many factors other than timing that can affect your success. Once you have established a system that works for your personal and professional social sites, you will see a stark difference in your traffic, engagement and followers. 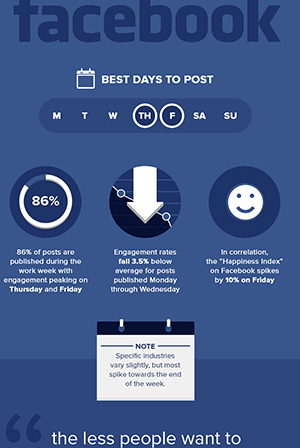 Check out this great inforgraphic from AdWeek that gives you the ins and outs of when to post on your social media network of choice. Let these guidelines serve as a foundation upon which you can customize content and timing for yourself and your business. The best way to measure success? Test, test, test. Try out different methods, content, multi-media, timing, etc. to see where you get the highest traffic and engagement—then you can make your accounts work even harder for you! 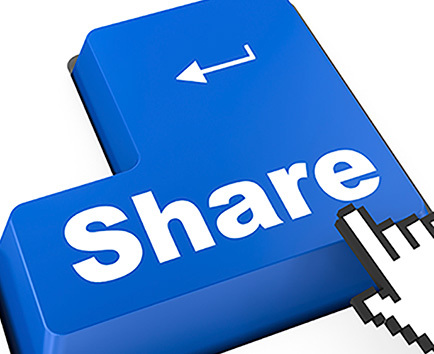 The next question is… how often should I post on social media? Stay tuned.